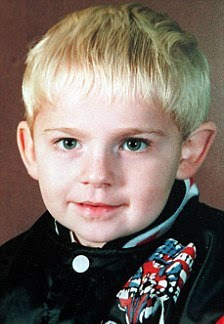 Marie Comerford was the mother of Johnathan Ball, a three-year-old boy who was murdered by the IRA bomb planted in a litter bin in the town centre of Warrington in 1993. In March 2009, she “died of a broken heart” at the age of 53, 16 years to the day after her child was killed. Marie Comerford suffered a fatal heart attack on the anniversary of the murder of her son, Johnathan Ball (right. He died of horrific injuries after a bomb planted in a litter bin exploded in Warrington town centre on 20 March 1993. It was the day before Mothering Sunday and Johnathan was with his babysitter buying a card for his mum. The babysitter survived but Johnathan died at the scene. His babysitter, Samantha Thompson, watched him die after the explosion that killed another 12-year- old boy, Tim Parry, and injured 54 other people. In the years after his Johnathan Ball’s death, Marie Comerford became extremely depressed and reclusive, her inquest in Warrington was told. In the weeks before she was found dead at her home, she stopped eating and she refused medical treatment for her breathing difficulties. The IRA explosion in 1993 also fatally injured Tim Parry, whose life support machine was turned off weeks later. On the day of the explosion, the Samaritans received a coded message that a bomb was going to be detonated outside Boots in Liverpool, 15 miles from Warrington. Merseyside Police immediately investigated and also warned the neighbouring force in Cheshire. At 12.12 p.m. two bombs exploded – one outside Boots and another outside Argos in the centre of Warrington. The bombs had been placed inside cast-iron litter bins, and this caused large amounts of shrapnel and increased the number of injured people. Marie Comerford, of Howley near Warrington, had been married to Anthony Comerford and they had three sons, including Paul and Steven. But Tony and Marie had separated when she met another man, Wilf Ball, and they were the parents of her fourth son, Jonathan Ball. In 2001, Wilf Ball and Marie Comerford, and Tim Parry’s parents met Sinn Féin’s chief negotiator, Martin McGuinness, to discuss the Northern Ireland peace process. After the meeting, Martin McGuinness declined to say whether he had apologised to the parents on behalf of the IRA. Wilf Ball died from a suspected heart attack in 2004. In the years that followed, Marie Comerford’s estranged husband, Tony Comerford, of Lindley Avenue, Westy, regularly visited her at her Warrington home in Helsby Street, Howley, to make sure she was well and had enough food. The court heard Marie Comerford struggled to breathe but she refused to get medical help and she was found lifeless on 24 March when her estranged husband next visited her home. The consultant pathologist, Dr Jasna Krajacevic, of Warrington Hospital, said she thought Marie Comerford was likely to have died on 20 or 21 March – at around the time as the 16th anniversary of the IRA bombing. (c) Patrick Comerford 2009, 2011, 2013. Last updated: 10 September 2011; 5 January 2013.